Families are welcome to apply to enrol or transfer their child to our preschool at any time during the school year using an online application form. Children seeking to enter school at the preschool entry point should be four years of age on or before 30 April in that year. Children who live in Charnwood or Dunlop and turn three on or before 30 April are eligible to attend our three year old program. Preschool enrolments open in the April prior to the commencement of the preschool year. To be eligible to enrol, you will need to provide your child's birth certificate, immunisation details and proof of residence, ie. utilities bill, mortgage document, lease or tenancy agreement. Students in the Priority Enrolment Area (PEA) will be given priority of placement. If you would like to know more, please call our friendly Front Office staff on 6142 2680. 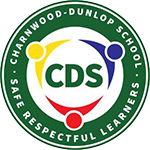 You and your child are members of the Charnwood-Dunlop School community. By enrolling your child in our preschool program, they will automatically move on to kindergarten in our school. As with all transitions, the staff will ensure that the move from preschool to kindergarten is successful.